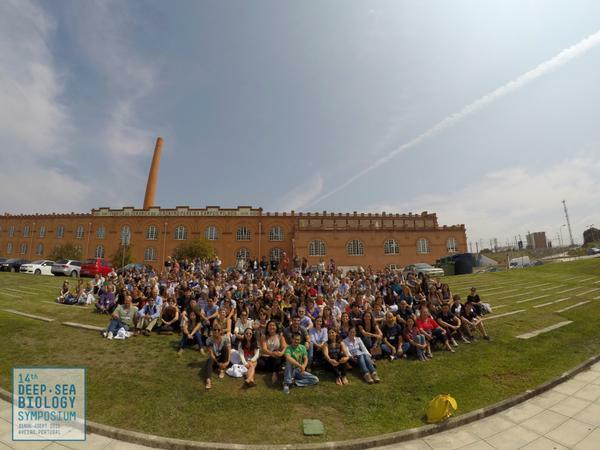 In early September 2015, I attended the 14th Deep-Sea Biology Symposium (DSBS) and Deep-Ocean Stewardship Initiative (DOSI) Planning Meeting in Aveiro, Portugal, and wow, what an incredibly enjoyable and valuable week it was! This was my first time attending either event having been at sea in 2012 when the DSBS took place in New Zealand. 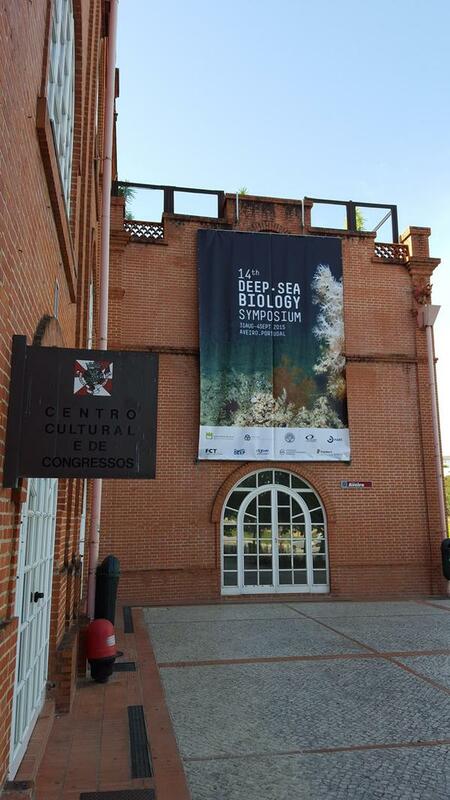 It was also my first conference since I attended the World Conference of Marine Biodiversity in 2011, so needless to say, I felt a bit rusty. 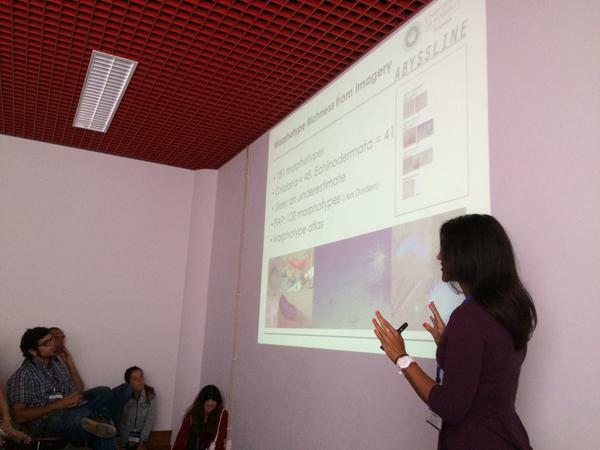 I presented my preliminary results from the megafaunal component of the ABYSSLINE Project. 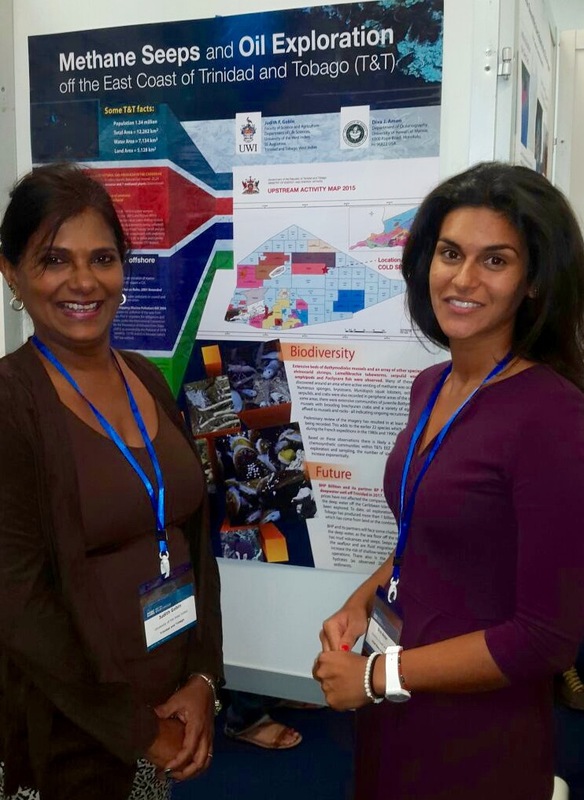 I was also a collaborator on several other talks and posters including one by Dr. Judith Gobin (University of the West Indies, St. Augustine) on the incredible methane seeps found in areas that may be exploited for oil off Trinidad. I’ll add here that this was the first time that any Trinidadians (much less two!) had ever attended the DSBS! 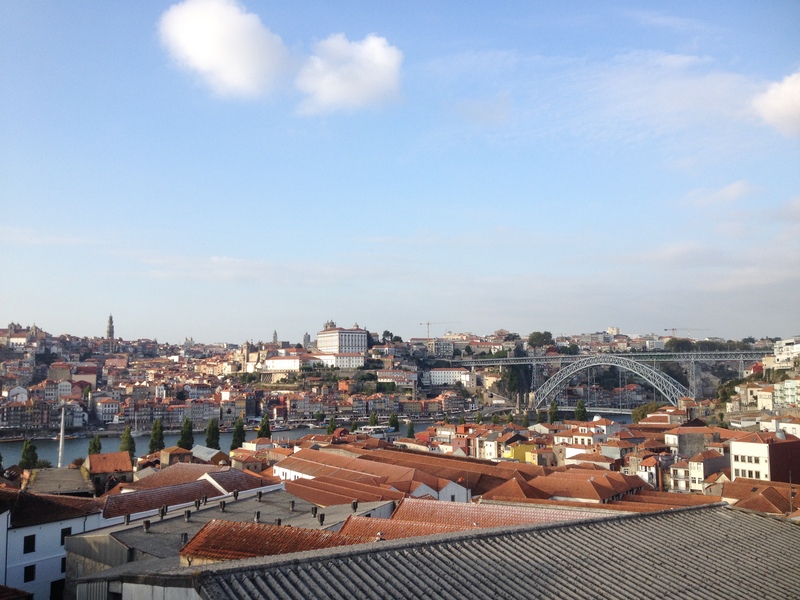 All in all, it was a great week filled with informative conversations, introductions to many people I’ve wanted to connect with for ages, thought-provoking scientific talks and maybe even the beginnings of some future collaborations. Of course, it was also great to see so many old friends and colleagues that I don’t get to see often due to living in the middle of the Pacific Ocean. I can’t wait for the 15th DSBS in 2018, when it’s in Monterey Bay, California (although I voted for it to be held Hong Kong)! Giving my presentation on megafauna of the CCZ. Photo credit Dr. Adrian Glover. Dr. Judith Gobin and I in front of our poster.